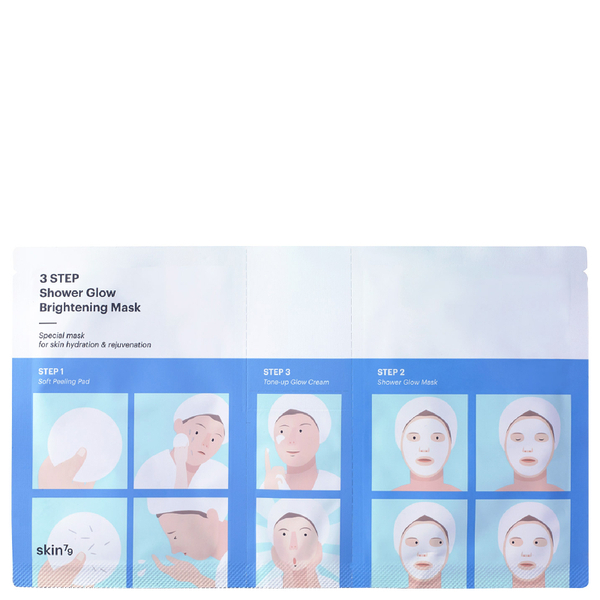 Achieve shower fresh results with the 3 Step Shower Glow Mask from Korean brand, Skin79. Arriving with three separate compartments for each of the three steps, the mask acts as a complete basic care routine. Step 1 contains a peeling pad which sweeps across the skin to slough away dead skin cells and other impurities. 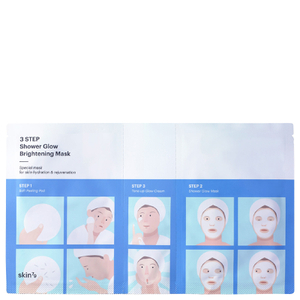 Step 2 boasts the Shower Glow sheet mask, which delivers gentle moisture to the complexion, as well as essential nutrition. The final step in the routine is a Tone-Up glow cream, which completes the process by visibly brightening the face. Expect a refreshed complexion that is visibly radiant.